I am not the Savior; the weight of the world is not mine to bear or fix. God is able and in control. I joyfully partner with God, resting in His strength, His provision, and His peace. As Easter approaches, I'm reminded that God is sovereign, in control, and has already conquered the darkness. Every victory I experience now was procured at the cross and empty grave. Please let this truth seep into your soul because it changes everything. 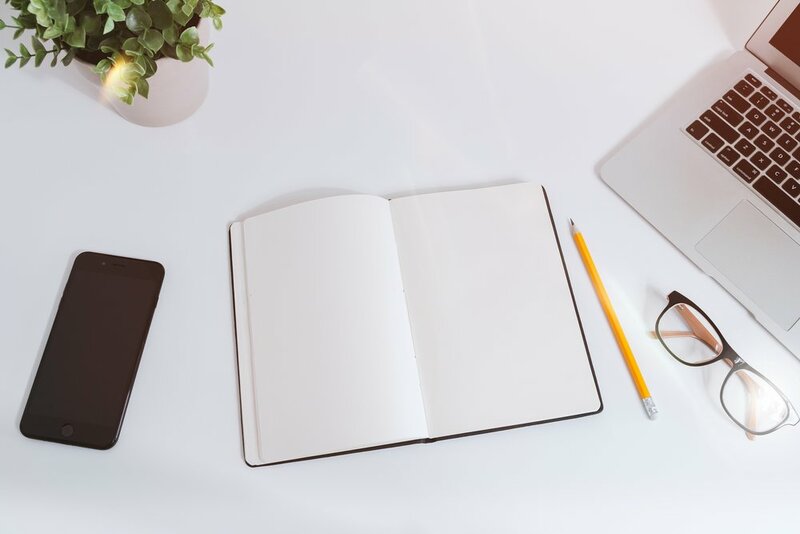 If you are the type of person that tends to over-achieve, perform to succeed or be loved, or you struggle with co-dependency, this affirmation is just what the Good Doctor ordered. You and I don't have to save the world from pain or problems. In fact, even with our best efforts and over-achieving, we can't. I’m thankful for the Savior. This means, I don't have to be one. What is our role and mission? To love God and to love people. We must leave all the superhero stuff to Jesus. He is fighting our battles. His presence is always with us. We get to partner with God in what He is already at work doing. 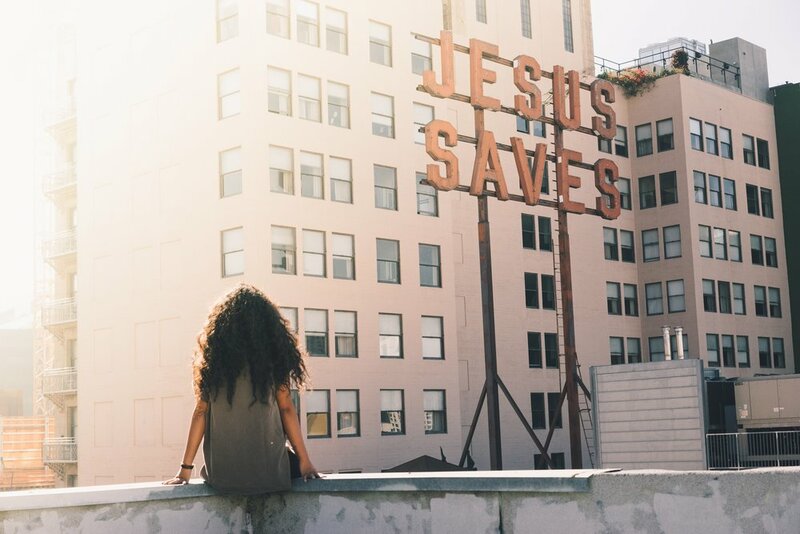 Our intentional decisions make a world of difference, but the ultimate saving and rescuing is in Christ Himself. I often experience a little bit of anxiety when people approach me with their health problems. Their issues are often heavy and complex. I am moved by their stories and pain. In those small moments of fear though, The Great Physician, quietly reminds me that He is the Healer. He holds every provision for their needs. My true responsibility and call is to give them Jesus. Nothing more, nothing less. What does that look like? Honestly, this can look like a myriad of things. I can study and read health books and resources to offer practical tools for people. I can lay hands on and pray over people. I can listen and offer a gentle hug when they're hurting. I can surprise them with a gift of comfort in some way. Or I can make them a meal and bring it over. In the words of Iris Global Ministries, "Love looks like something." Giving people Jesus means loving them right where they are. But it also means I leave my superhero cape in the suitcase. God uses people to bring about His will in the world. But the heavy-lifting is on Him. He is the Savior, the Miracle-Maker, the Deliverer. And this truth sets me free to be a child of God that loves people, not a Savior trying to play God. I hope this affirmation helps take the pressure off. Take a deep breath. Pray for your loved ones. Lay hands on the sick. Then keep reminding yourself to give 'em Jesus. Jesus is more than enough. Need some hope? I have a new Scripture meditation I just released. 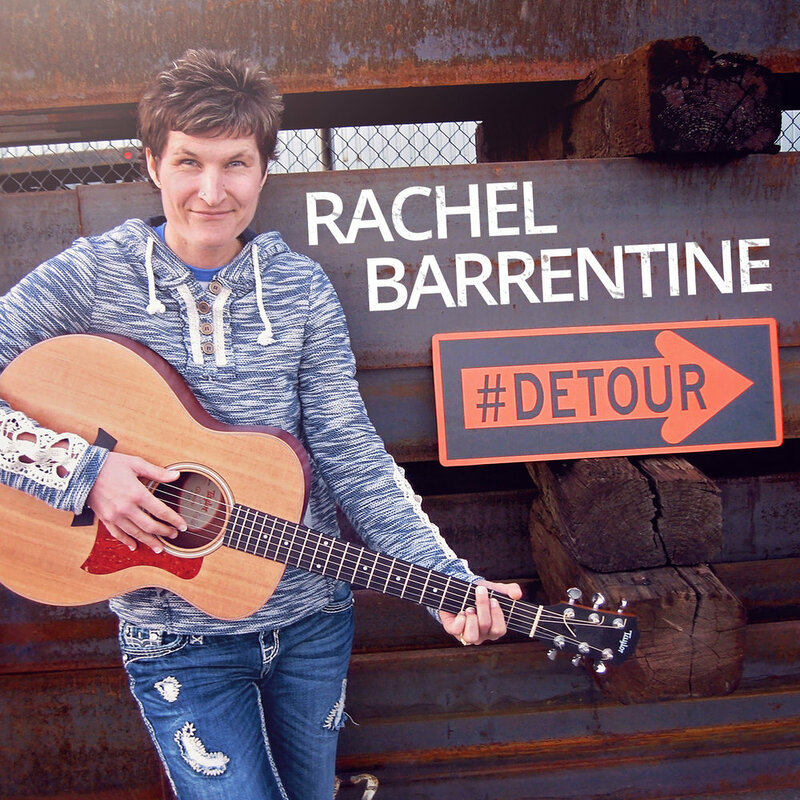 You can find "Meditations for Hope" on iTunes, Spotify, and other online stores. And just so you know, I planned these meditations so that you can take a deep breath between each Scripture. Let these meditations give your body and spirit an opportunity to decompress, rest, and be refreshed as you listen. I’m dropping a new single called “GO IN THE JOY” on Good Friday this week. It is a song well-timed for Easter. I hope you will check it out and enjoy this new tune. I am a warrior in the Spirit. No weapon formed against me or my destiny shall prosper. The LORD is my Personal Bravery. He fights for me every single day. He fights for the people He brings into my life to love. Together, our love fights for their blessing, freedom, and victory. This is one of my FAVORITE affirmations! The Amplified Bible says that God is our Personal Bravery. We do well to remember there is a spiritual battle going on that we cannot see. The "symptoms" of the enemy are stealing, killing, and destroying. Our battle is not with people, it is with the spiritual forces of wickedness. Sometimes people behave badly, but, this does not mean our battle is with them. Underlying all the junk in our lives is a liar who comes to destroy, distract, and detour us off of our God-given course. When you are frustrated with someone, remember that they are an image-bearer of God. That never changes. Turn your frustration on the enemy and begin to worship God by speaking out truth, praise, and adoration. Release God's healing, direction, provision, wisdom, bravery, and favor over the very person you're frustrated with. This will change the spiritual atmosphere in your life, as well as in the heavenlies. For the record, satan is not God's equal. God has no equal. Jesus is quite literally unrivaled. The spiritual forces of wickedness pale in comparison to the Lamb who was slain. Let this give you courage, bravery, and boldness to stand your ground when junk flies at you. We have quite a few guests come through our home in Tennessee. When I speak this affirmation I think of family, friends, and all the guests that stay with us from time to time. I believe by partnering with God to love each one, we release favor, freedom, victory, and blessing over their lives. Just as I receive God's great love for me, I begin to pour it out as a blessing to others. It's a full-circle love. What do you think? Is there a part of this affirmation or verse that is being highlighted in your spirit? Let me know in the comments. 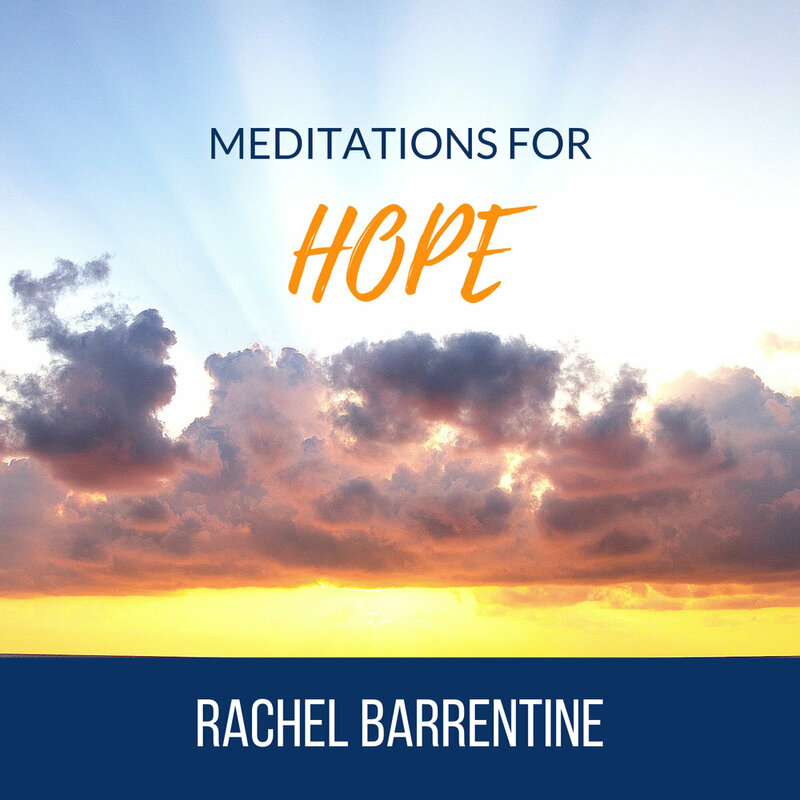 PS - My new "Meditations for Hope" is launching next Friday - April 5th. Enjoy a fresh 10-minute scripture meditation. You can find it on iTunes and other music platforms. For all the gods of the peoples are worthless idols, but the Lord made the heavens. 6 Splendor and majesty are before him; strength and beauty are in his sanctuary. 11 Let the heavens be glad, and let the earth rejoice; let the sea roar, and all that fills it; 12 let the field exult, and everything in it! When you speak and create beautiful thoughts, words, ideas, actions, or art, you bear the image of God. As human beings we carry the very image of God in our identity. But there are ways we can radiate God's image even more through our words and actions. I used to think beautiful things were just a "nice to have", surplus or extra. They weren't necessities for life. However, the more I grow to know God, the more I don't think this is true. Everything God creates is beautiful. He always goes the extra mile. He goes above and beyond what's basic. He provided detailed instructions for the making of the temple, the ark of the covenant, and Noah's ark. All of creation is a grand display of God’s beautiful thoughts and creativity. God even creates us with the potential to grow in beauty. He embeds in us the possibility of beauty. Why bother doing that if beauty isn't important? My husband makes guitars, and they are a work of art. The level of detail and intricacy involved is absolutely stunning. Often times I ask him what a certain detail is for, and many times his answer is "aesthetics." Not everything has to be functional. 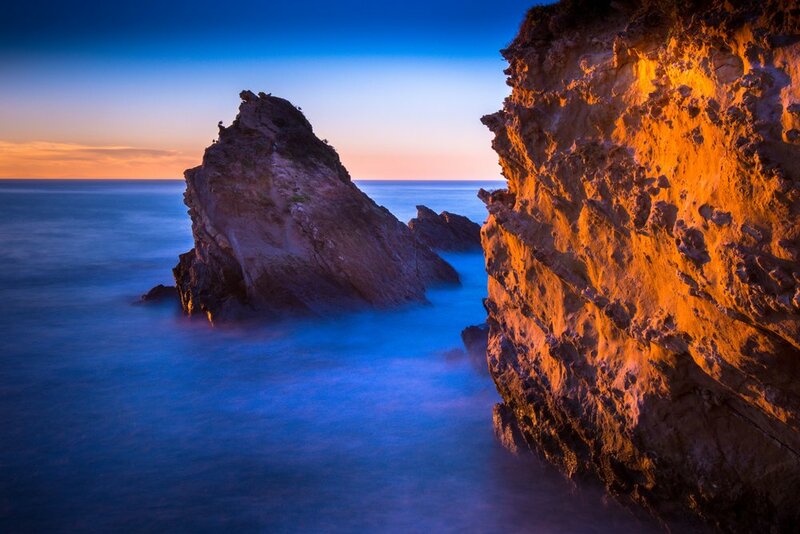 I want to challenge you to make a deposit of beauty into the world on a regular basis. Drop an encouraging comment onto social media and add beauty to a conversation. If you're a singer or songwriter, release a piece of beautiful music (even if it's a 30-second chorus). If you're a painter, splash some paint on a canvas and let people see it. If you are a wordsmith, release beauty through your words. If you are a person who prays for others, release the favor and beauty of God over the people you are praying for. Declare beauty over their lives, families, and children. If you cook, bring me over some dinner! Lol. Beauty is everywhere. It reflects the nature and heart of God. If you want to elevate and reflect God's heart in this world…release, create, and speak beauty. I believe you have beautiful words of encouragement in you. Use this affirmation to get started. You don't have to be crafty to create beauty. You simply have to ask God how you can release beauty into this world today. The world needs you. The world needs the beauty only you can bring. Hello friend. Over the next few months I am going to let you in on a little secret. I have several affirmations that I speak over my life daily. It helps me renew my mind, center my heart, and reach my destiny. These are things I believe God wants for me. Do you know God has bigger dreams for your life than you do? Do you know that your self-talk and the thoughts you dwell on determine the direction of your life? It’s true. Psalm 91 says, “He who dwells in the shelter of the Most High will abide in the shadow of the Almighty.” There’s an innate promise in there. Dwelling on the Most High is the key. I don’t know about you, but I can’t just rangle my thoughts in UNLESS I have something good and noteworthy to think about. So, over the next few months I want to invite you into this thing called “Affirmations” with me. You can make up your own. In fact, I encourage you to do so. Or you can borrow mine and use them for yourself. Or you can use mine to jump off on your own and modify them to make them just right for your specific situation. 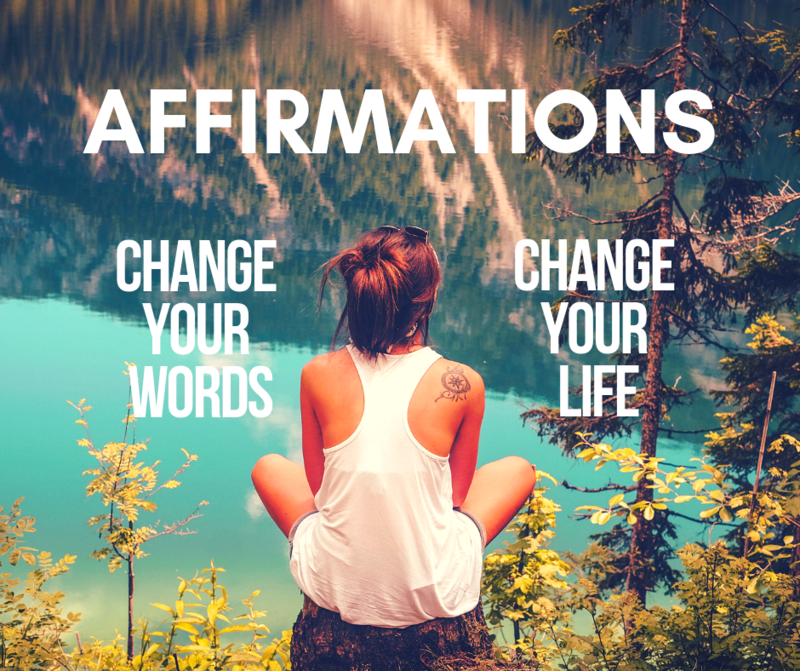 Whatever you choose, I challenge you to start speaking these affirmations out loud. It makes a difference when we declare truth into the atmosphere. Be bold and speak them loudly and clearly. Read them with intention and focus. Don’t let your mind drift when you are speaking them. Think about them as you read them aloud. On top of these affirmations I’ll be passing on to you, don’t forget about the “Meditations for” series coming out through music channels. 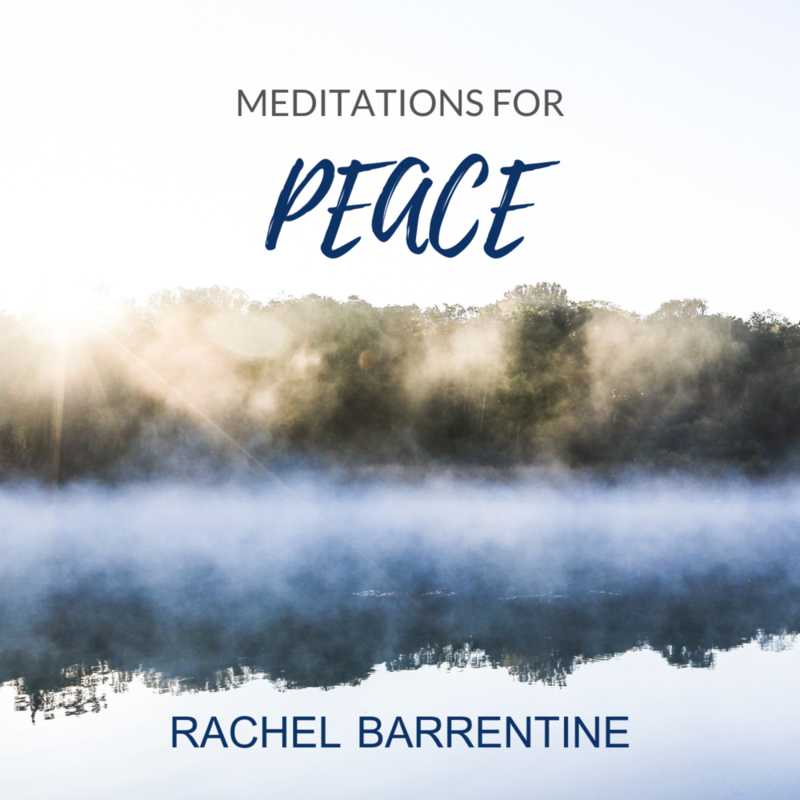 I have already released “Meditations for Peace.” It is available on iTunes, Spotify, Amazon, etc. The next one in the cue is Meditations for Hope. It has a whole different feel with a much more hopeful, musical soundscape. To be honest, I’m running a little behind on its release because of the flu and sinus infection this month. But look for that in a few weeks. I’ll let you know when that new Scripture meditation becomes available. Hi friends, I’m on a mission this year to release a ton of spoken Scripture with original music. I know it helps my mind and attitude tremendously if I am thinking on whatever is good, excellent, and praiseworthy. What better way to accomplish this than to listen to Scriptures - over and over. Each 10-minute meditation has a certain theme. The first installment of the “Meditations for…” series, is called Meditations for Peace. A friend of mine just texted to let me know that she has been listening to this meditation before she goes to bed. She loves it! It’s helping to calm her mind and spirit so she can get better sleep! What a great way to use this meditation! I hope you’ll listen over and over. As I have done that, I am literally getting these Scriptures memorized in the process. Plus, it really has increased my peace in an amazing way! There is power in the living, and active Word of God. 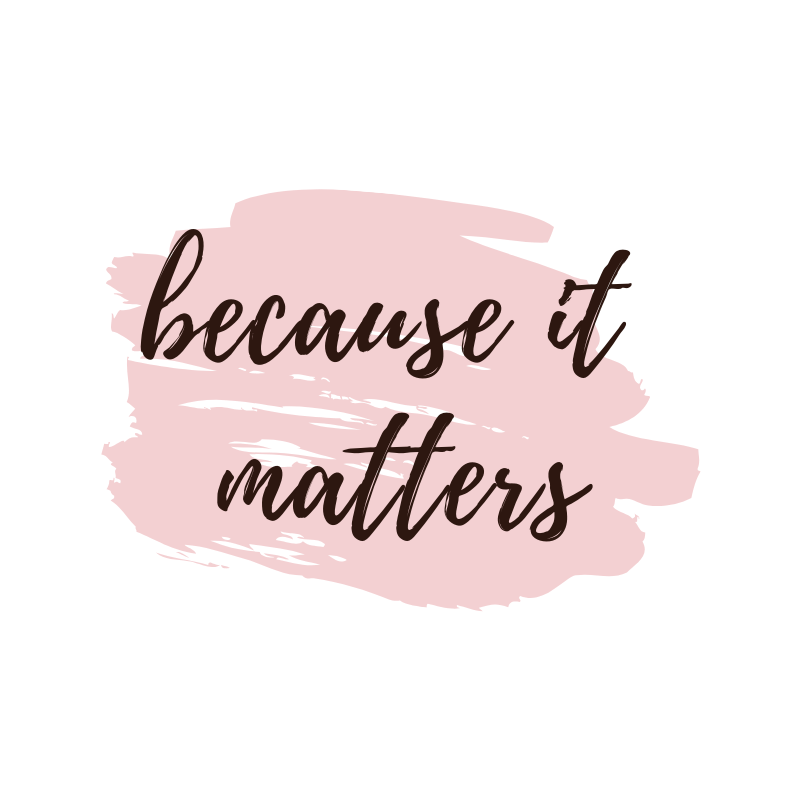 There's nothing like those powerful words, "This doesn't matter." Those are disheartening, disempowering words. They aren't the truth though. God uses everything. In the hands of a faithful God, nothing is wasted. NOTHING. If the enemy can steal your motivation and hope, then he doesn't have to defeat you. You defeat yourself. I may even venture to say there's a whole enemy team called "self-defeat" that may be out to devour whoever's susceptible. So whatever you do today, know this: It matters. You matter. What you do matters. How you love matters. Your words, your acts of service, your unloading the dishwasher, your taking the carpool to school, your picking up dry-cleaning, your random no-reason hug to your spouse...these micro-decisions make up the stuff of life. They matter. They count. Even if your inner critic says they don't. Get out of bed. Take a breath. Write the song. Give the compliment. Thank the clerk. Choose the smile. Take the nap. Pet the dog. Love your children. Listen to a piece of music that moves you. Open up your hands to God. Let Him have whatever it is you have or don't have today. Be steadfast, immovable, always abounding in the work of the Lord...not because God desperately needs you to get stuff done, but because your toil is not in vain when it's laid down at His feet. Check out this fresh post at Start Feeling Awesome. I decided to share this because it might be helpful for you or someone you love. Be blessed. Click on the picture to go to the article. Or CLICK HERE. Hi friends! It's been a while since I've posted on this site. But just wanted to share a new song I penned this week. It's simple and I invite you to enjoy the lyric video and sing along. Hello friends! It's been a while! Instead of feeling guilt or shame for not keeping in touch and providing your weekly spiritual nuggets, I'm simply gonna say, "Shame Off Me." Ever need to say that to yourself? Check out the fun story behind my new song "Shame Off You", and don't forget to grab a copy of my new book, BOLD. See ya on the blog! Joyfully, Rachel B. You are the God who listens and answers. You won't fail to come through. You are in the delays. You are in the waiting. You are with me in the inbetween. Especially for the right-handed bowlers, those lanes get ruts. Why? Because of chronic use. The real question is...are those ruts helpful? Or do they steer your ball the wrong direction? When we do something habitually, or hear something over and over, it creates a rut. But not all ruts are right. Sometimes they prevent us from success. Just like ruts, I believe lies operate the same way. When we hear, entertain, agree with, or listen to a lie long enough, we eventually fall into the rut of believing it. This, in turn, steers our actions and ultimate direction in life. If you listen to a lie long enough, you'll eventually live it out. But living a lie won't set you free. PLUS: Let Yourself Be Loved Shirts on Sale for $8 this week only! Somewhere along the line I learned to take care of myself. I felt the need to always be looking over my shoulder. rather than on Your perfection. Please forgive me...click to see the rest of the prayer. We don't have normal locks on the doors to our house. We have those digital locks with a keypad. It doesn't require a key. It requires a code. We like this because when our hands are full of groceries we don't have to dig inside our pocket or purse to find a key. We simply punch in the code and gain access to unlock the door. // There's a similar parallel to the spiritual realm. Matthew 28:8 says, "And Jesus came up and spoke to them, saying, 'All authority has been given to Me in heaven and on earth.'" If all authority belongs to Jesus, then how is it that the devil has any authority at all on earth? How does he gain access and authority in our life? // In short: We give him the access code. Click to read more. And lead them into Your presence. They become prisoners of truth. I just had one of the most insightful and meaningful (to me) conversations with God. You guys, He is so practical. I can't even tell you. I was talking to Him about my binge on Krispy Kreme donuts last night. And He didn't condemn me. He actually told me why I did it. I had worked super hard the day before, didn't get sleep, and had an important meeting in the morning. I was utterly exhausted. He told me I needed a reward and release from the stress of that work. That good work. God work. And so...in a moment of needing rest & reward I drove to get donuts. 4 to be exact. I ate 4 donuts. Holy cow. And then drove straight to church on a Tuesday night to go worship Him in a sugar coma. Lol. But wait. There's more. Click on the link to read the rest of the story!